"... the performance is both beautifully shaped (especially the woodwinds) and devotional in spirit." "... I don’t think anyone will be disappointed with this recording ... Janowski knows what he is doing and does it well and without exaggeration, so it is more than satisfying to surrender oneself to him and to Brahms, for these 68 minutes." "The orchestral playing is outstanding ... with Genia Kühmeier and a gloriously dramatic Thomas Hampson standing out as about the two most admirable soloists I've heard in the work for many a long year, this has to be an essential recording for anyone who relishes richly romantic music making at its best." 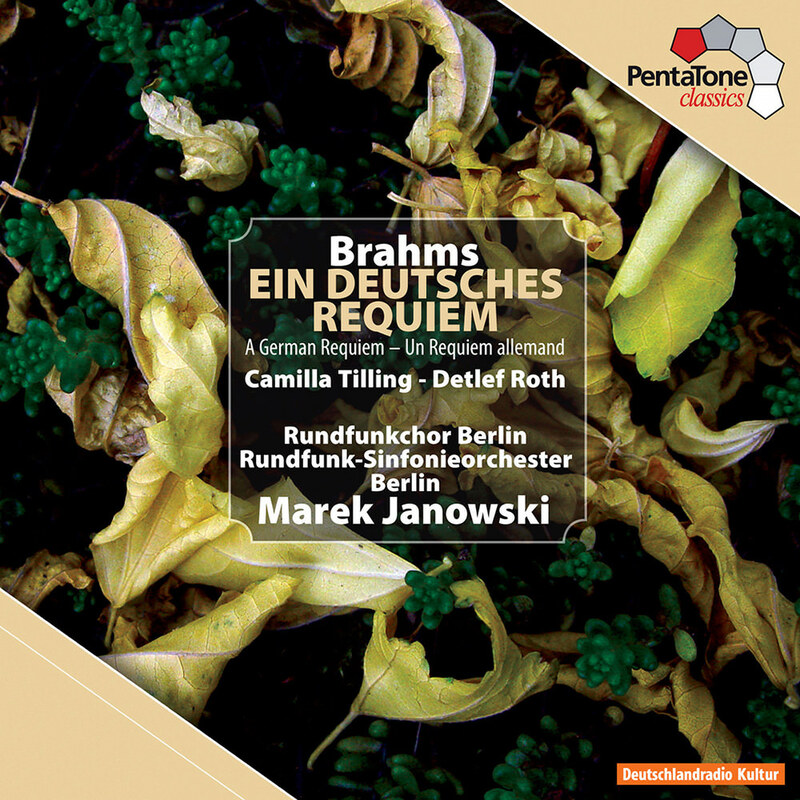 Marek Janowski leads the Berlin Radio Symphony Orchestra and Choir on this detailed performance of Brahms's unique German requiem Ein Deutsches Requiem featuring soloists Camilla Tilling (soprano) and baritone Detlef Roth.